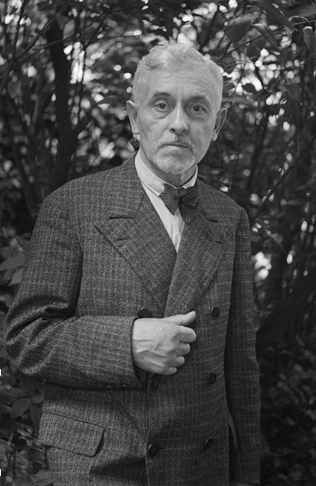 It should come as little surprise that the largest repository of live concert recordings of French composer Florent Schmitt’s music is at the archives of INA, the French Broadcasting System. Dozens of performances made over the past 50+ years exist — only a relatively small portion of which have been made accessible since they first aired on radio or television. Listed alphabetically below are concert performances of Florent Schmitt’s music known to be housed in the INA’s archives, with links to available recordings or downloads included where known. We can only hope that many more of these important historic audio documents will see the light of day eventually. 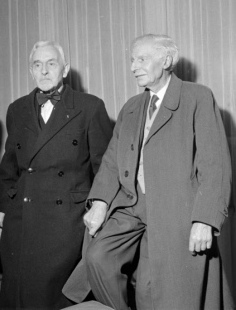 Florent Schmitt with fellow composer Louis Aubert (1877-1968), photographed at the ORTF studios in Paris in the early 1950s. 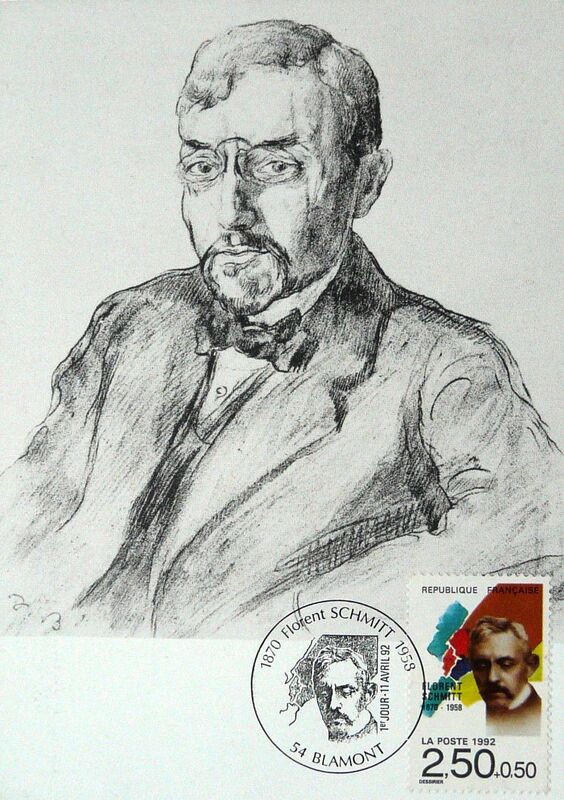 A commemorative postage stamp honoring the composer Florent Schmitt was issued by La Poste, the French national postal authority, in 1992. 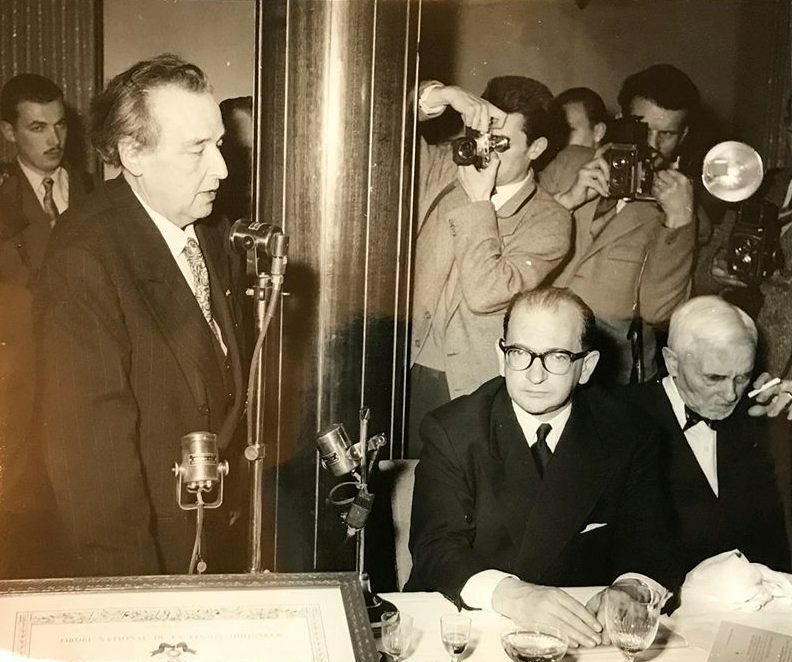 Florent Schmitt, seated at right, at a Radio-France press event honoring the late Arthur Honegger shortly after the death of the Swiss-French composer (1955). 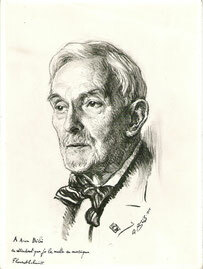 A charcoal drawing of Florent Schmitt by the artist André Aaron Bilis (1956). Source: Wikipedia, with edits, updates and additions by Jean-charles Hoffelé and Phillip Nones.